The Lincoln Memorial is dedicated to the United States' 16th President, Abraham Lincoln, and is sometimes called the Temple of American Democracy. It sits just off the National Mall, near the Washington Monument, Jefferson Memorial, and other DC attractions. The Lincoln Memorial is one of the most visited attractions in Washington, with an estimated over six million visitors a year. President Lincoln was assassinated just before the end of the Civil War in 1865. The Lincoln Memorial was conceived in 1867, but sadly, the planning was put on hold for a number of years. It wasn't until the start of the 20th century that the plans gained traction again. In 1914, an initial dedication ceremony was conducted, with construction commencing shortly thereafter. The finished monument was dedicated on Memorial Day in 1922, 57 years after Lincoln passed away. Styled after a Greek Doric temple, the building design was conceived by Henry Bacon. He eventually won the prestigious Gold Medal of the American Institute of Architects, an architect's highest honor, for his design. The centerpiece is the seated sculpture of President Lincoln. The Lincoln Memorial is primarily constructed of Indiana limestone in the interior and Colorado Yule marble on the exterior. It also utilizes pink Tennessee marble for the floor and Alabama marble for the ceiling. The statue of Lincoln is made from Georgia marble. The memorial features 36 giant Doric columns, representing the 36 states of the Union at the time of Lincoln's death. Those states, along with the dates they entered the union, are inscribed on the frieze. There are also 48 stone festoons above the columns, which signify the 48 states in the Union when the memorial opened in 1922. 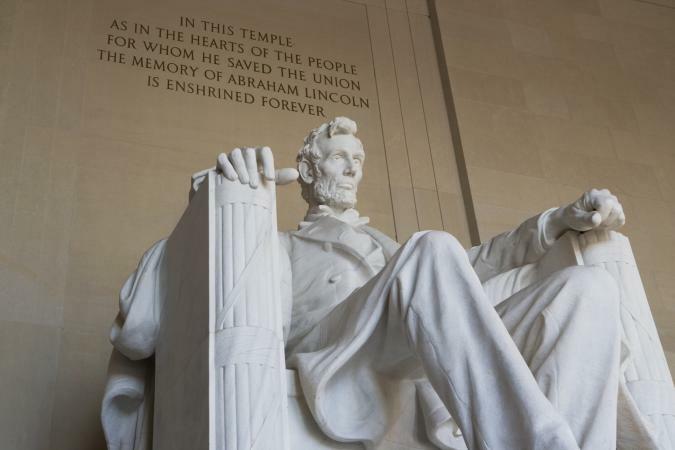 The centerpiece of the Lincoln Memorial is a giant sculpture of Lincoln seated, designed by Daniel Chester French, and patterned after Matthew Brady's wartime photographs of the president. Lincoln is shown as weary and thoughtful, gazing out across the Reflecting Pool at the Washington Monument. The statue, which stands 19 feet tall and 19 feet across, was carved by the New York firm of the Piccirilli Brothers. Lincoln's one hand is clenched, showing his strength, whereas the other is open, showing his compassion. Along the interior walls of the monument are inscribed the words of Lincoln's Gettysburg Address, one of the most famous speeches in history, and his second inaugural address, which outlines Lincoln's plan for reuniting the North and the South after the Civil War. Above the text are a series of murals by Jules Guerin, which show an angel, representing truth, freeing a slave. This is a reference to Lincoln's work on the Emancipation Proclamation. A second mural depicts the unity of the north and the south. If you are interested in visiting the memorial in person, there is some important information you should know. Location: If you're walking in the area, the Lincoln Memorial is at the western end of the National Mall, about two miles away from the U.S. Capitol Building. The address is 2 Lincoln Memorial Cir NW, Washington, DC 20037. Transit: Metro stations nearby include Foggy Bottom and Smithsonian. Hours: The Lincoln Memorial is open 24 hours a day, 365 day a year. From 9:30am to 10pm daily, park rangers are on hand to give talks about the memorial. Cost: There is no admission charge. Facilities: A visitor's center with restrooms, a bookstore, and exhibits about Lincoln's life is adjacent to the Memorial. To make the most of your visit, keep these pointers in mind. It's recommended to visit during the morning or early evening as it's not only beautiful, but it's less crowded. Since it's lit at night, it's also a great spot for night photos. The best way to approach the Lincoln Memorial is from the east, by the Washington Monument. This puts you by the Reflecting Pool, which provides stunning views. If you're coming from another part of Washington D.C., the easiest way to get to the Lincoln Memorial is by Metrorail or Metrobus. Finding parking can be a challenge. 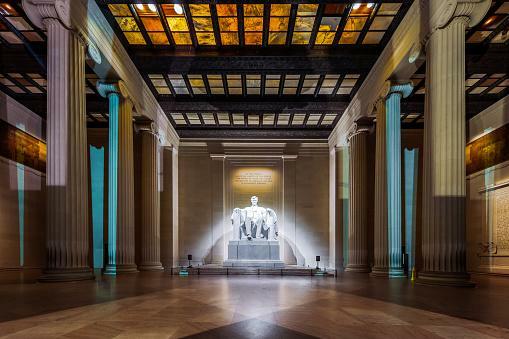 The Lincoln Memorial is currently undergoing a major multi-million dollar renovation. It's scheduled to stay open for most of the time, but there may be parts that are closed off periodically. Some of the enhancements will be to expand the current exhibit space, which is rather limited, and update the bookstore and restrooms. The memorial itself will be scrubbed, other repairs made, and the inside murals will be restored. To see if there are any scheduled closures or alerts in place, always check the National Park Service website before your visit. The Lincoln Memorial has been the site of many historic events. It was here that Dr. Martin Luther King, Jr. delivered his famous I Have a Dream speech in 1963. The steps of the memorial were also the site of operatic star Marian Anderson's open-air concert in 1939, arranged by Eleanor Roosevelt after Ms. Anderson was refused permission to perform at Washington's Constitution Hall because of the color of her skin. In 1957, civil rights leaders held a demonstration at the Lincoln Memorial to coincide with the third anniversary of the Brown v. Board of Education Supreme Court decision. Over 25,000 people were in attendance, and it is said to have been the training ground for the organizers who coordinated King's iconic speech in 1963. Today, you'll find the Lincoln Memorial is a popular place to watch 4th of July fireworks, and it's also one of the key locations for people to hear the new President's Inaugural Address. 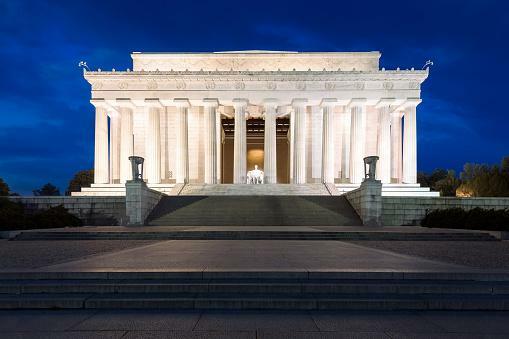 Aside from political and cultural events being held here over the years, the Lincoln Memorial has been featured in countless TV shows and films, including the 2009 movie, Night at the Museum: Battle of the Smithsonian. The National Mall is full of other important monuments and attractions. These include the Vietnam Veterans Memorial, Korean War Veterans Memorial, and the National World War II Memorial. All monuments here are maintained and managed by the National Park Service. Washington, D.C. is noted for a variety of interesting and free things to do. Check the tourism website for a list of more than 100 attractions and activities in the area, along with a list of events and festivals that might coincide with your planned visit.